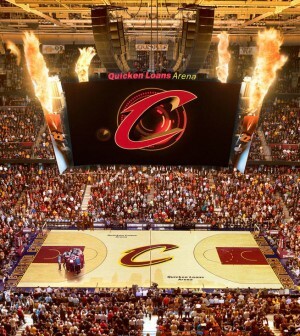 The Cleveland Cavaliers’ home stadium will have a different look to it in 2019/2020. The team confirmed on Monday that they are changing the name of their arena from Quicken Loans Arena to Rocket Mortgage FieldHouse. Along with the name change will be some renovations. According to reports, they will be adding a brand new glass facade and approximately 42,000 square feet of public space for fans to enjoy. Cavaliers owner Dan Gilbert, Cavaliers CEO Len Komoroski, Quicken Loans CEO Jay Farner, and Cleveland mayor Frank Jackson are among those expected to be in attendance for a news conference to officially announce the name change.